If you have children, chances are you’ve given at least some thought to saving for college. In fact, pretty much every new parent I talk to has it near the top of their list of financial priorities. Maybe you’ve even read a little bit about the benefits of college savings accounts like 529 plans. Maybe you’ve even opened an account and started saving. If you have, that’s great! You’re giving your children a head start that they’ll definitely appreciate. But before you dive all the way in, I’d like to pump the brakes a little bit. Because while saving for college certainly COULD be a good idea, there are also some good reasons to consider NOT using a college savings account, no matter how highly you value your children’s education. Sometimes not saving for college, or at least not using a dedicated college savings account, is actually the smart decision. Here are five big reasons why. From a purely rational standpoint, college savings should be near the bottom of your list of financial priorities. Meanwhile, other financial priorities like saving for financial independence, building an emergency fund, and buying insurance require you to either save or spend money now. Not doing so either makes the goal impossible or makes it much harder to achieve. So before you start putting money into a college savings account, you’ll want to make sure that your other goals are on track. 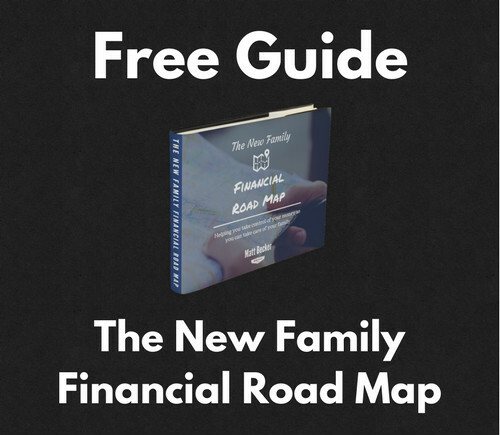 For more on exactly which goals to prioritize, check out The New Family Financial Road Map. There is no federal tax deduction for contributions to a college savings account. And while some states allow a state income tax deduction for contributions to a 529 plan, many do not. If you live in one of the states that doesn’t, there is no immediate tax benefit for your contribution. The flip side is that all earnings within your college savings account can be withdrawn from the account tax-free if used for qualifying education purposes. With a 529 plan, this includes both higher education costs and, with the new tax laws, K-12 expenses as well. That sounds great, but how big is that benefit really? How much you save. The more you save, the bigger the potential tax benefit. How early you start saving. The earlier you start (especially with big contributions), the bigger the potential tax benefit. Your investment return. The bigger the return, the bigger the potential tax benefit. The problem is that most people have the least amount of money to save right when it would have the biggest impact. The best case scenario would be saving a large amount of money right when your child is born, but that’s just not realistic for most of us. So let’s create a simple example and see how much money a college savings account would save you. Let’s say that you save $100 per month from the time your child is born until the day your child starts college at age 19. That’s 19 years of saving, which means you will have contributed a total of $22,800. Now let’s say that you were able to earn a 4% annual return on that money. That would give you a final balance of $34,181. Subtract those two numbers and you have $11,381 in earnings (above what you contributed). This money would be taxed in a regular investment account, but would be tax-free in a college savings account. There is a wide range of possibilities in terms of what tax rate you would be subject to, but let’s keep it simple and say that it’s 15%. That means that if this money was in a taxable account, you would end up paying $1,707 in taxes upon withdrawal. To put it the other way, you would have saved $1,707 by using a college savings account instead of a regular investment account. Now, that’s not an insignificant amount of money. But it’s probably not life-changing either in the context of college costs. Just how significant it is depends on the specifics of your situation and the type of educational opportunities you are pursuing. And the point here is simply that if you’re contributing a fairly typical amount of money to these college savings accounts, the tax breaks they provide aren’t likely to be as big as you might assume. Quick note: There’s a detailed breakdown of the tax savings vs. potential penalties of the various accounts down below. 3. Who knows what education will look like in the future? Education in some form will obviously always be important. But with the advent of online learning platforms like Coursera, the number of universities opening up courses for free, and the number of tools and resources available for anyone to take what they learn and start a business, are you sure that the current college system will be the best route when your child is 18? One of the problems with college savings accounts is that if you don’t use the money for qualified education expenses, your withdrawals will be taxed and subject to penalties. There is some flexibility there to use the money for other people (like yourself or grandchildren), but it’s still a risk given the uncertainty surrounding the future of education. If you’d like to save money for your child’s future, whether that’s college or something else, one option is to use a regular investment account. You wouldn’t get any tax breaks, but remember that those may not be as big as you thought anyways. And the upside is that you could use the money for anything at any time. What if your 14 year old daughter wants to start an online business? Or pursue a special education program overseas? That would be pretty cool, right? Well if your money is in a 529 plan, it wouldn’t be available to help her (without taxes and penalties). But if it’s in a regular investment account, you can take it out at any time and support her initiative. And an investment account isn’t your only option. You could also use a savings account. Or a Roth IRA. These options all have drawbacks, sure. But they also provide more flexibility than a college savings account, which is a big advantage given that life can change pretty quickly. 5. Why not invest in your children now? Joshua Sheats, a financial planner and all around money nerd, has an excellent podcast episode where explains all the reasons why he is choosing not to save for his child’s college education. And while I don’t agree with all of the points he makes, it’s definitely worth a listen. My favorite part of that podcast is when he points out that college is a short 4-year window in your child’s life. And if your child is young, it’s also many years away. In the meantime, there are INFINITE opportunities to invest in your child right now and at other points along the way. You can help them explore their curiosities, have meaningful experiences, and learn skills they will carry with them for the rest of their lives. Instead of dedicating all your free money to a small window of time many years in the future, why not use it to enrich their lives right now? For a simple example, my wife and I make a point to block off dedicated family time. Evenings are family time. Weekends are family time. My wife and I each have blocks of time during the week where we’re in charge of the kids. We could spend more of that time working, giving us more room in our budget for things like saving for college. But we enjoy having family time and we know that it’s also a positive influence in our boys’ development. So we make the choice to make it a priority. There are, of course, other ways that you can invest in your children, from museum memberships, to sports, to music, to helping them start a mini-business, and on and on. This isn’t to say that you should be doing all of those things. It’s just helpful to remember that there are many ways to encourage curiosity and help your children build skills now instead of being 100% fixated on a 4-year window many years in the future. Are college savings accounts ever a good idea? 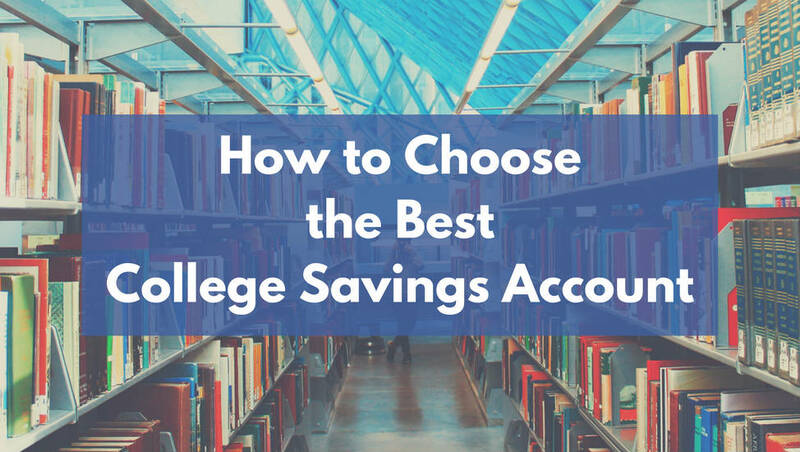 College savings accounts CAN be great in the right circumstances, and we’ll spend the rest of this post diving into the details of using them well. But the truth is that they’re not right for everyone or every situation. In a lot of cases it makes sense to put your money elsewhere first, and it may even make sense to avoid these college savings accounts altogether. It wouldn’t make you a bad person. In fact, it might make you a really smart one. With all of that said, there are plenty of situations in which saving for college within a dedicated college savings account s the right move. I have 529 savings accounts for both of my sons, so clearly I don’t think you should always steer clear. 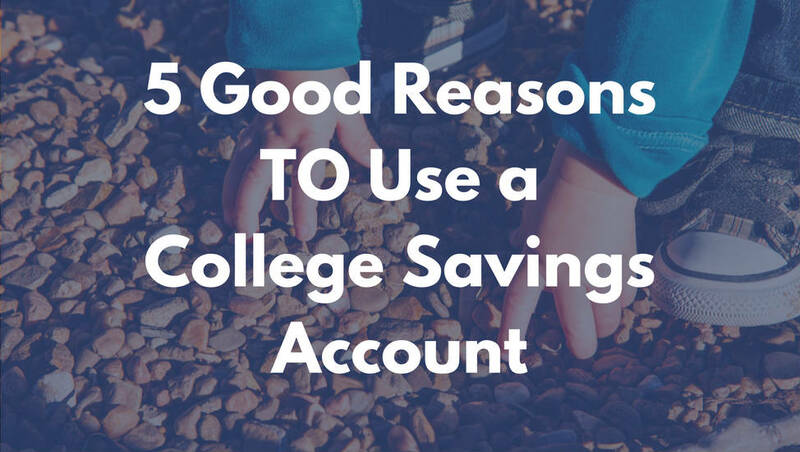 So now let’s walk through five reasons why using a dedicated college savings account like a 529 plan could be the right move. I’m a big proponent of prioritizing other financial goals ahead of college savings. There are just so many different ways to pay for college, while most other goals require you to save or spend money on them now. But if your other goals are already on track and you still have money you’d like to save, then a college savings account is a good option. Of course it’s not the only one. You could save the money to start a business or make a career change. You could use it to travel. You could invest it in a regular old taxable investment account so that it’s available at any time for any purpose. All of those would be great decisions as well. But a college savings account allows you to invest the money, provide your children with opportunities down the line, and get some tax breaks along the way. It’s a win-win. And one of the big benefits of a 529 plan in particular is that the contribution limits are very high. So if you have a large amount of money that you want to put to good use right away, you can likely do so with a 529 plan. In the right situation, the tax benefits from a college savings account can be significant. If you live in one of the states that offers a state income tax deduction for contributions to a 529 plan, there’s an immediate benefit to contributing (though you still won’t get a federal income tax deduction). And if you can contribute a significant amount of money, especially when your child is young, you’ll also benefit from the ability to withdraw all the growth tax-free for education expenses. Let’s say that you’re able to contribute $500 per month to a 529 plan from the time your child is born until they head to college at age 19. After 19 years you will have contributed $114,000, and with a 4% return your account balance will have grown to $170,904. That leaves you with $56,904 in earnings that would be taxed in a regular investment account but could be withdrawn tax-free from a 529 plan. Assuming a 15% tax rate, using a 529 plan would save you $8,536. The more you contribute and the earlier you start, the bigger the potential tax savings. College savings accounts aren’t as flexible as regular investment accounts. The money has to be used for qualified education expenses or else it will be taxed and subject to penalty. But they are more flexible than you might think, especially with some of the recent changes in our tax laws. You can change beneficiaries at any time. So if the child you originally opened the account for doesn’t end up needing the money, you could use it for a different child, a grandchild, a niece or nephew, or even yourself. Up to $10,000 per year, per child can be withdrawn tax-free for K-12 expenses (though for now you do need to be careful about the potential state tax consequences). You can use the money for advanced degrees like medical school, law school, and other masters and doctorate programs. You can use the money for non-traditional education opportunities as well. For example, when I needed to take some extra courses towards the CFP® certification, I took them part-time and online because I was also working a full-time job. And I used money from a 529 plan to pay for it. So while there ARE limitations to how you can use this money, there’s also some flexibility that makes this money valuable in a number of different situations. From the time they were born, my sons have gotten checks from relatives. Nothing big, but birthdays and holidays usually come with some cash from the grandparents. My favorite thing to do with that money is put it straight into their 529 plans. The grandparents love it because they feel good knowing they’re supporting their grandchildren’s education. And for now my sons are too young to do much with the money anyways, so this is a great way to make sure it’s supporting their future. Family and friends can even contribute directly to a 529 savings account if they want, so this isn’t limited just to birthday checks. In other words, you don’t have to contribute yourself in order to make use of a college savings account. Simply having one open and available allows friends and family to help as well. This one might sound silly, but it shouldn’t be ignored. After all, the real goal of personal finance is to create a life you enjoy. And a big part of that is making sure that your money is always aligned with your personal values. I’ve talked to plenty of people who simply feel better because they are saving for college. They place a high value on education, a high value on providing opportunities for their children, and this is one way they can express those values financially. And you don’t have to contribute a lot of money to feel good about it. Personally, I got satisfaction from putting $50 per month into my son’s 529 plan. Was that amount going to change the world for him? No. But it was something he could use and I felt good about making sure it was there for him. Of course it’s important to be responsible with your money and handle the biggest priorities first. But it’s also important to use your money in ways that make you happy. If this is one of them, then go for it! From a financial perspective, it makes the most sense to use a dedicated college savings account when you’ve already handled your other financial responsibilities and you have a lot of money to contribute early in your child’s life. That’s the way to maximize the tax benefits that these accounts provide. But even if you can’t contribute a lot of money right away, opening an account now allows you to start building some savings and it’s an opportunity for other family members to contribute as well. It’s absolutely worth considering your other options, but in the right situations a college savings account can provide a lot of value. 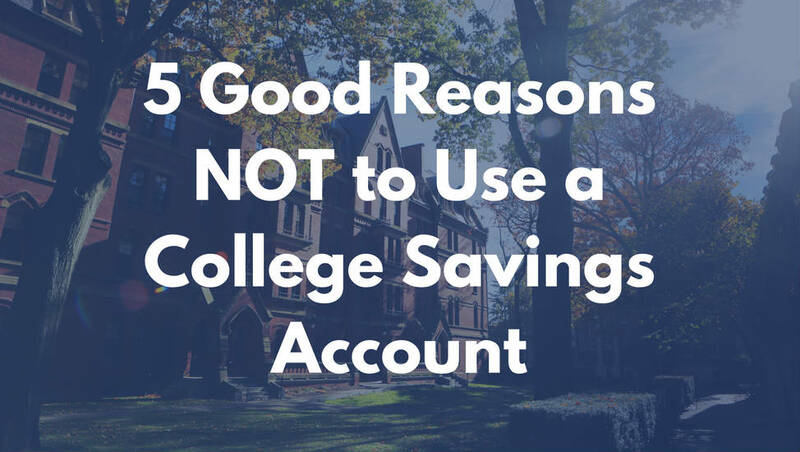 So if you’d like to start saving for college, how do you know which type of account to use? Here’s a detailed breakdown of the five major types of college savings accounts so that you can figure out which one is right for your specific goals. The 529 plan is the most well-known college savings account, and for good reason. There are a lot of potential benefits and just about anyone can use them, making them very powerful in the right situations. Tax deferral – Money within a 529 plan is invested tax-free while inside the account, allowing it to grow faster than it would within a taxable account. Tax-free withdrawals – The money can be withdrawn tax-free for qualified higher education expenses (i.e. undergraduate programs and beyond). And up to $10,000 per year, per child can be withdrawn tax-free for eligible K-12 expenses. Potential state income tax deduction – Some states allow you to deduct your contributions for state income tax purposes (you cannot deduct them on your federal income tax return). Click here to see if your state allows a deduction. High contribution limits – There are no income limits with 529 plans, meaning anyone can contribute no matter how much they make. A married couple can also typically contribute up to $28,000 per year, per child without any tax consequences (and up to $140,000 in certain situations). Flexibility – You can change the beneficiary at any time. If the child you originally opened the account for doesn’t need the money, you can use it for another child, yourself, your spouse, a niece or nephew, or grandchild. Easy for others to contribute – Most 529 plans make it easy for friends and family to contribute directly if they’d like. It’s also pretty common for grandparents to open their own 529 accounts for their grandchildren. Limited to education expenses – The money can only be used tax-free and penalty-free for qualified education expenses. This obviously limits your ability to adapt if you don’t need the money for that purpose. Taxes and penalties – If you withdraw the money for any other purpose, your earnings will be taxed as ordinary income and subject to a 10% penalty. There are some exceptions to this rule, such as when your child receives a scholarship. Yes, the Roth IRA is actually a retirement account, not a college savings account. But it has some unique features that can make it a smart place to put your college savings if you know what you’re doing. You can get more detail on the pros and cons of using a Roth IRA for college savings here and here. Tax deferral – Your money grows tax-free while inside a Roth IRA. Contributions are accessible – You can withdraw up to the amount you’ve contributed at any time and for any reason, without being taxed or penalized. No penalty for college expenses – Typically, the earnings you withdraw from a Roth IRA prior to age 59.5 are subject to a 10% penalty, but the penalty is waived when the money is used for qualified higher education expenses. Flexibility – If you don’t need or want to use the money for college, you can simply keep it in the Roth IRA, let it keep growing, and withdraw it tax-free in retirement. Financial aid – Money inside a Roth IRA is not counted against financial aid eligibility. Investment options – In contrast to a 529 plan, Roth IRAs offer pretty much unlimited investment options. Potentially sacrificing retirement – In general, it’s best to make sure that you’re 100% on track for retirement before saving for college. Using your Roth IRA for college savings may be sacrificing your personal financial future. Confusion – One of the benefits of a Roth IRA is that it can be used for either college or retirement. But it’s important to remember that it can’t be used for BOTH, so you shouldn’t count it towards both in your planning. Financial aid – Withdrawals from a Roth IRA are counted as income in the NEXT year’s financial aid calculations, even if the withdrawals aren’t taxed as income. And since income is weighed much more heavily than savings, that can be a big detriment. No state income tax deduction – Unlike some 529 plans, there is no state income tax deduction for contributions. Earnings are taxed – Any amount you withdraw over what you have contributed will be taxed as ordinary income. Smaller contribution limits – Your contributions are capped at $5,500 per year, and in some cases may be even more limited. Regular investment accounts aren’t dedicated college savings accounts and they don’t offer any special tax breaks, but they do have some flexibility that can make them a good option. Investment options – 529 plans typically offer limited investment options. But you can open a regular investment account with any investment company you’d like, allowing you to choose investments that align with your personal investment plan. 100% flexibility – You can use the money for any purpose at any time. 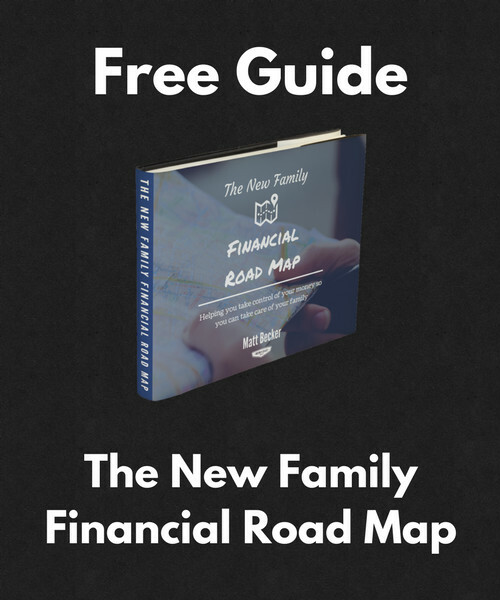 No matter what you or your children decide to do with your life, this money is available to help you do it. No tax benefits – While there are plenty of ways to invest tax-efficiently within a regular investment account, you don’t get the tax deferral and tax-free withdrawals that a dedicated college savings account offers. Account minimums – Some mutual funds and investment companies have account minimums that can make it difficult for someone who is just getting started. Okay, so this one obviously isn’t really a college savings account, but it’s a smart enough strategy that it’s worth including here. By putting extra money towards your mortgage, you can guarantee yourself a rate of return equal to your interest rate. 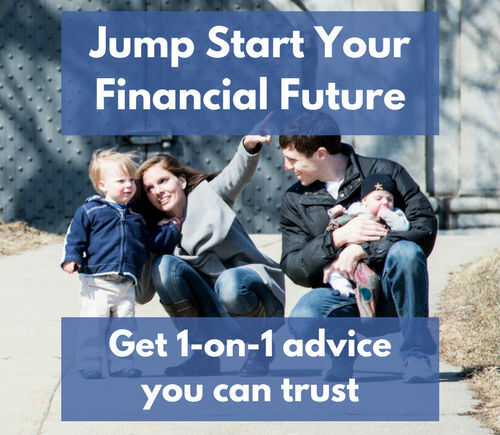 And if you time your payoff with your child starting college, you’ll also free up a ton of monthly cash flow that could then be used to pay for tuition, books, and other college expenses. Guaranteed return – Every extra dollar you pay towards your mortgage earns you a guaranteed return at the rate of your mortgage interest rate. Financial aid – Equity in your primary residence does not count against financial aid, potentially making it easier to qualify. Flexibility – The end result is more room in your budget that could be used to pay for college or for anything else. Freedom – There’s nothing like being debt-free. When you don’t owe anything to anybody, you have a lot more freedom to live your life as you please. No special tax breaks – Unlike 529 plans and Roth IRAs, there’s no tax deferral, no tax-free withdrawals, and no potential for a state income tax deduction on contributions. Missed mortgage interest deduction – The mortgage interest deduction is generally overrated, but if you do benefit from the deduction then extra payments would result in a rate to return that’s slightly less than your interest rate, due to the loss of some of that deduction. Lack of accessibility – Until your mortgage is paid off, there’s no good way to access all the money you’re saving beyond taking on more debt through a second mortgage or a home equity line of credit. Here are three other options that you might consider, but that in most cases can’t match the benefits of the four options above. Coverdell ESAs used to be a viable alternative to 529 plans because the money can be used tax-free and penalty-free for K-12 expenses, but they have limited usefulness now that 529 plans can be used for that purpose as well. UGMA and UTMA accounts are not something I generally recommend. There are no tax benefits for using them and you lose a lot of control over the money. Savings accounts can be an easy way to get started, and they can be useful when you’ll need the money soon. But they are not a great long-term option simply because there are no tax benefits and you can find better returns elsewhere. This is where we get really nerdy with it. Everything in the previous section should be enough for most people to make an informed decision about which college savings account(s) make the most sense for their particular situation. But if you really like running all the numbers and understanding the exact tradeoffs you’re making with this decision, this will be right up your alley. Because here’s the thing: if you’re 100% sure that you want to save money specifically for higher education, a 529 plan is usually going to be the best route. The tax-free growth and tax-free withdrawals, and in some cases a state income tax deduction, make it hard to beat. The problem comes if the money ISN’T needed or wanted for college. Because any earnings that are withdrawn from a 529 plan and used for something other than college expenses are both taxed and subject to a 10% penalty. Now, there’s some flexibility there. You can always use the money for a sibling, or even for yourself or a spouse. You can also use it for graduate school, and if your child gets a scholarship you can withdraw up to that amount penalty-free. But still, it’s a risk. And given that the two other major options – namely a Roth IRA or a regular taxable account – don’t have that same penalty, it’s worth figuring out just how big a risk it is. Quick note: I’m leaving the option of paying off your mortgage out because it’s not an investment account that lends itself to this kind of comparison. 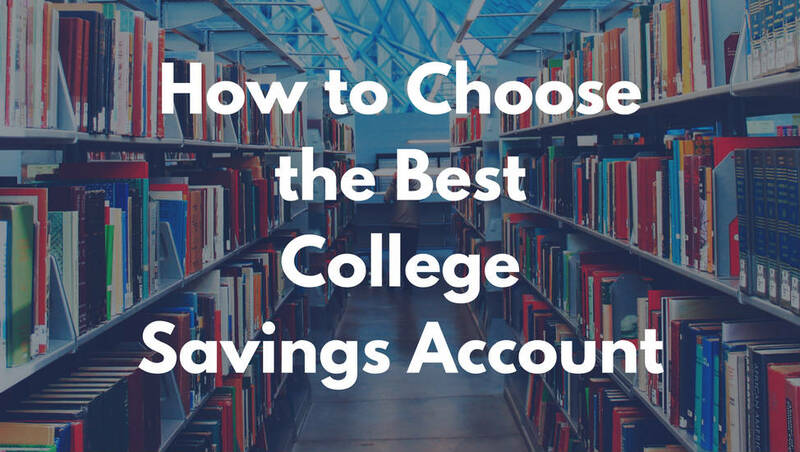 Which college savings account is best if the money is actually used for college expenses? Which one is best if you DON’T end up needing the money for college? How big are the differences between them once you factor in all the taxes and penalties. Here’s the spreadsheet I used to run the numbers: College Savings Account Comparison – 529 Plan vs. Roth IRA vs. Taxable Account. You can check the calculations and even update the assumptions for yourself, but here’s a summary of the results. 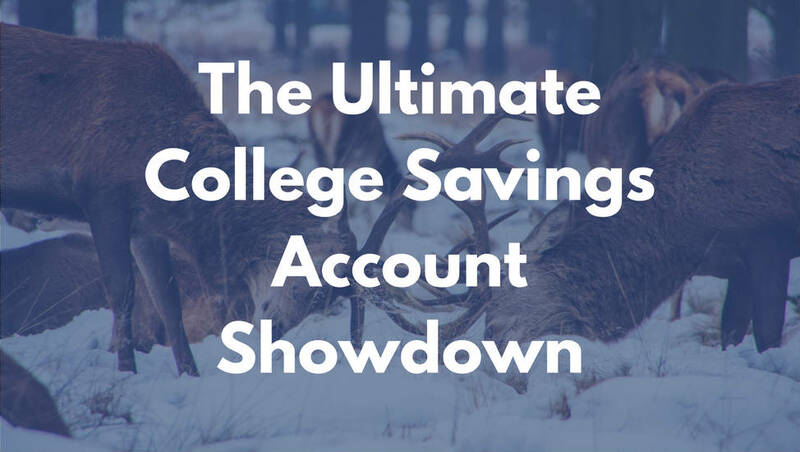 Which account is best if ALL of the money is used for college expenses? As expected, the 529 plan comes out pretty far ahead. You’d end up with $6,500-$7,000 more than either the taxable account or Roth IRA, simply because of the special tax breaks the 529 plan offers for college expenses. What’s interesting is that the Roth IRA is only slightly behind the taxable account, and that’s assuming that you’re able to invest as tax-efficiently as possible within the taxable account. My guess is that in real world situations you’d have at least some extra tax cost in the taxable account that may cause it to fall behind the Roth IRA. Which account is best if NONE of the money is used for college expenses? 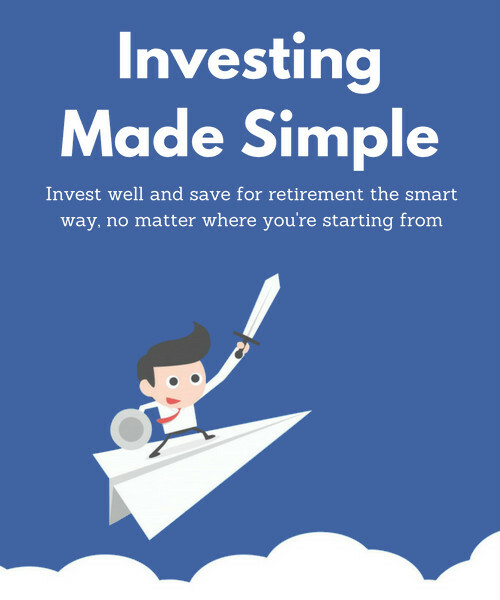 In this case the Roth IRA comes out way ahead, simply because you can leave the money in the account and eventually withdraw it tax-free once you reach age 59.5. That flexibility is one of the big benefits of using a Roth IRA for college savings. And the 529 plan comes in last because of the fact that the earnings are both taxed and penalized. You’d get almost $10,000 less from your 529 plan than you would from a Roth IRA, and about $3,000 less than what you’d get from a taxable account. There are a lot of assumptions being made and things being simplified here, and changing any of them could lead to different results. Contributions: Bigger contributions would lead to bigger differences and smaller contributions would lead to smaller differences. In other words, contributing more would put the 529 further ahead if the money is used for college and further behind if not. Time: Shorter time periods would lead to smaller differences and longer time periods would lead to bigger differences. Returns: Better returns would lead to bigger differences and smaller returns would lead to smaller differences. % used for college: The numbers above assume that either all of the money is used for college expenses or that none of it is. But of course you could use some for college and some for something else, and that mixed use would decrease the differences between the accounts. I assumed a 25% ordinary income tax rate and a 15% capital gains tax rate. Lower tax rates would more strongly argue for a taxable account, while higher tax rates would argue more strongly against it. I assumed that the taxable account would be invested as tax-efficiently as possible, with all capital gains deferred until the moment the money is withdrawn. In reality there would likely be some tax drag along the way that would lead to worse results for the taxable account. I didn’t factor in the possibility of being able to contribute more to a 529 plan because of a state income tax deduction. That could potentially tilt the numbers further in favor of the 529 plan. How should you prioritize your college savings? So, what do all of this mean for you? How should you prioritize your college savings based on this information? You have the most to gain or lose if you’re contributing a lot of money for a long time. In that case, a 529 plan will come out way ahead if the money is used for college, but way behind if it’s not. When comparing a 529 plan to a Roth IRA, the potential benefit is higher with the Roth IRA. In the example above, the Roth IRA comes out almost $10,000 ahead if the money ISN’T used for college, while the 529 plan comes out about $7,000 ahead of the money IS used for college. The Roth IRA seems pretty clearly preferable to a taxable account. It’s only slightly behind the taxable account when the money is used for college expenses and way ahead of the taxable account when it isn’t. Remember that the smartest decision might be to not save for college at all right now. The 529 plan is the clear choice for money you are fairly certain will be used for college. The Roth IRA is the best choice if you aren’t certain the money will be used for college and want to hedge your bets. The Roth IRA is also the best choice if you aren’t yet 100% on track for retirement, since it could be used for either goal. If you aren’t sure what the money will be used for AND you’ve already maxed out your Roth IRA, it’s a tough call between the 529 plan and taxable account. At higher tax rates I might lean towards a 529 plan, and at lower tax rates I might lean towards a taxable account. Don’t forget, paying off your mortgage offers a guaranteed rate of return and the potential for a definitive date on which you will no longer have a mortgage payment, which would create a lot of extra room in your budget for college tuition. As always, your article has explained the various aspects of college savings very clearly. Does having a 529 account limit the chances of my kid getting a financial aid when he/she starts college? Technically money within a 529 plan does count against financial aid, but only 5.64% of it is counted. So if you have $100,000 in an account, the FAFSA only considers $5,640 of it. So the impact is small. Additionally, financial aid is not guaranteed and often comes in the form of student loans anyways, and having the savings gives you a lot more flexibility to make whatever decision is best for you and your family. All of which is why I pretty much always encourage families to save and not worry about the potential impact on financial aid. I am almost sure that my kids would go to colleges, and I have two questions. 1. Now, I understand the financial aid. But how about scholarship? Does having a 529 account limit the chances of my kid getting a scholarship? If I have a 529 account for my kid, is there any possibility of him not being able to receive the scholarship at all? My wife and I are considering a custom whole life (CWL) life insurance plan for my kid’s college tuitions? A good or bad idea? Why? Good questions Sam. Here are my thoughts. 1. There are many different types of scholarships so I can’t say anything for sure. In general though, my understanding is that 529 plans should not affect your child’s ability to receive merit-based scholarships. Needs-based scholarships may be affected, but if you are the owner of the 529 plan than only 5.64% of the money inside the account should generally be counted for needs-based programs. But again, this may vary program-to-program so I can’t say for sure. 2. I’m generally not a fan of whole life insurance as an investment vehicle, whether for college or otherwise. Here’s an article that details the reasons why: Why Whole Life Insurance Is a Bad Investment. 529 has a huge advantage if your look at longevity of tax free growth. We are saving big in our children’ accounts almost hitting the plan maximum. If they don’t use or don’t need it (we hope), we can transfer the beneficiary to their children and realize capital appreciation for another 30-40 years. No other instrument has this advantage. One can use 529s as inheritance to your children for their children. You’re spot on that if you’re contributing a lot of money early in your child’s life, the tax-free growth offered by the 529 plan really adds up. And the ability to change the beneficiary adds some flexibility as well. They are definitely powerful when used the right way. Our financial advisor suggested the UTMA for our girls’ college savings set to 99% mutual funds. After reading your blog, I’m concerned we made the wrong decision, yet I’m not 100% in favor of the 529. I imagine if we split our investments between the two we may be better protected should they not need all of the funds. Great tips and education for a new parent here! Much appreciated Matt! You’re welcome Saty! I’m glad it’s helpful. I am very concerned because haven’t be able to save for my son’s college and he already a sophomore. Can you give me any suggestions about what I should do? Thanks for reaching out Marylene. It’s hard to give specific advice without knowing more about your situation, but I will say generally that there are a lot of different ways to pay for college and while having savings is obviously ideal, it is definitely not necessary in order for your child to get an education. 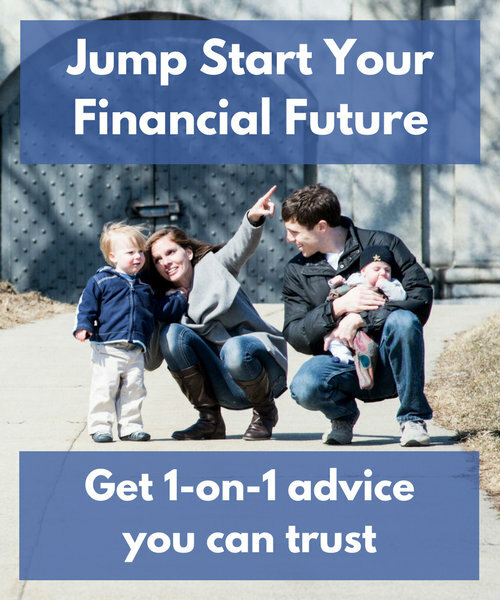 If you’d like specific advice, you should take a look at the Jump Start Session I offer. It’s pay-what-you-can, and we can look at this question within the context of your entire financial situation. 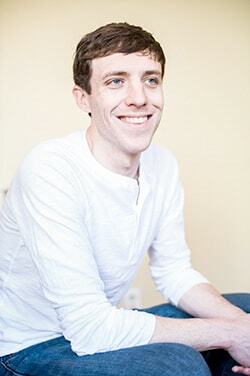 You are also welcome to reach out to me at matt@momanddadmoney.com if you have more questions. No matter what, I wish you and your son all the best! We adopted the no savings and feel like now we have income to invest. We want to minimize any risk (stock market) at this point. Kids are 10 and 12. Financial aid eligibility effects are a big consideration for us, and we have ran some numbers in specific school calculations. We hope to send to top schools, possibly Ivy League. Financial Aid and expected family contributions are huge considerations. If we use 10k from a Roth towards our family’s expected contribution in a given year, will that count as their (child’s) income on the next year’s expected family contribution? Or as parent income? This difference would have a major effect on total cost (child’s asset or parents) on the actual price of attendance. We are also considering student loan and then payoff with Roth last year. We want to clarify: money used for thier tuition will or will not not be counted against them in the subsequent years calculation of assets when determining amount of aid eligibility. Hope this makes sense. We are academics ourselves, understand the importance of what a school calculates as “expected family contribution,” and have about 160-170k income. Good question Catherine. Money withdrawn from a Roth IRA, no matter what it’s used for, will be counted as income for FAFSA purposes. However, FAFSA now uses a two-year lookback, so those withdrawals wouldn’t be counted as income until two years later. Thanks for the great article. We have two young children and with the help of my mother, have a 529 account for each of them. We do have a family member who would like to transfer some stock-assests as a gift to our kids, but we’d have to create a “regular” brokerage account to allow for this. I hesitate to do so because of the tax implications for us, but also because I’m not sure how it could impact any financial aid requests when the time comes. Questions are: 1) if we are already maximizing contributions to each of their 529 accounts, what is the next best option for investing for their college needs? 2) if we do create this brokerage account, how best to do it? In one of our names or as a custodial account? Good questions Nandini. On #1, in general I would say that a Roth IRA is the next best option, though a regular taxable brokerage account would work too. If the account is in your name, only a small percentage of it will count towards financial aid for FAFSA purposes (private colleges may have their own formulas). As for #2, there are too many variables for me to make a recommendation. Some of it depends on how the family member wants those stocks to be owned, and if there are potential tax implications, as you mention, those would be something you’d want to discuss with an accountant.